Unique non-corneal Diaton tonometry opens new doors to optometrists and other eye care professionals to evaluate intraocular pressure (IOP) THROUGH THE EYELID. 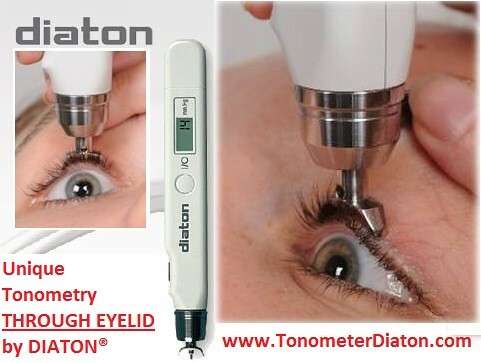 Diaton tonometer is effective in obtaining IOP measurements for many challenging patient populations. Please visit us at Vision Expo West Optimetrics Booth # MS6047 and Vision Systems VSI Booth LP10109 for free training and DEMO.